Vaughan Harris and the Fire Dance community of South Africa extend a heartfelt invitation for you to join us at our upcoming Fire Dance ceremony taking place from 3 to 5 May 2019. The Fire Dance will be held at Elba and Fritz Duminy’s ceremonial venue Simunye Ngothando which houses South Africa’s most well established Medicine Dance Arbour. What is the Fire Dance? The Fire Dance is a Medicine Dance that has its roots in Native American Dance traditions. This Dance is very different from many of the Medicine Dances in that it has 5 fires in the ceremonial Dance space called the Arbour. The Medicine of these 5 fires transmutes and transforms rapidly that which needs attention in your life. The Fire Dance is a 3 day Ceremony starting on Friday at noon and concluding late on Sunday afternoon. Those that attend, whether as Support Crew or Dancer, are required to be present during the entire ceremony. It is not possible to attend only parts of the Ceremony. 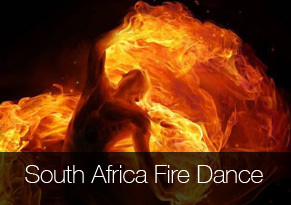 South Africa was the first country outside of the USA to host the Fire Dance in 2012, 6 Fire Dances have taken place in SA since then and in 2017 two Fire Dances were held, which has had a really positive effect on the local Dance community. Why join the Fire Dance? Medicine Dances call you and you will feel an undeniable need to be there. There are 2 groups participating in the Dance, the Support Crew (of which there are many roles) and the Dancers: you will feel where you are called to be. If you decide to Dance, then during the Ceremony you will fast from food, water, talk and electronic devices for 40+ hours. During that time the Chief will call you intermittently to Dance various dance rounds where you will engage with the fires and your fire within. Dancing at the Fire Dance is a deeply internal process of clearing and ultimately deep self-loving. Once you answer the call as a Dancer your dance with spirit will begin, and the Chief will be there to support you. If you feel called as Support Crew, the Chief will be shown what your support role is, and this will be conveyed to you. Being part of the Support Crew is a journey of humility, service and unconditional love. The Crew maintain the ceremonial space in a gentle, loving and powerful way for the Dancers. To be on the Support Crew is a great honour. All of us are experiencing, within our souls, a call for change. It’s time to shift and evolve for our planet, our family lines, and mostly for our own soul’s purpose. Most of you reading this are feeling a pull towards something that we’re not completely sure of, but know is required of us. The Fire Dance and Medicine Dances in general answer this call. By attending these ceremonies we’re being called back to an ancient knowledge from a time where Medicine Dancing was considered a normal way to process the challenges of our human existence. When one attends a Fire Dance there is a tangible shift that occurs during the Ceremony. This shift will continue to affect your life for months afterwards, even when it is not obvious, and the more Dances you attend the faster the transformation occurs. This, however, is by no means easy – fundamental change never is, but the rewards are boundless. Dancers and crew alike will experience this incredible transformation as the spirit of the Fire Dance moves through and fans the fires of their hearts. If you are called and if you are ready, the Fires are waiting and will forever be carried in your heart as a Fire Dancer! In truth there are no words to describe what this Medicine means to me. I have witnessed profound and fundamental shifts in those that attend the Fire Dance, especially when they have attended regularly. I’ve seen changes with regards to career, family relations and romantic relationships but I see the most profound growth within each person’s relationship with themselves. This is open-soul surgery which requires a level of bravery: all profound inner change requires courage – it’s not easy, but it’s simple. As we grow, change and shed that which constrains us we start to recognise our incredible divinity. As we then walk into our world, everything we touch begins to change which emanates out into our entire planet. It would be an honour to share this experience with you, whether you choose to serve with the support crew or as a Dancer. If you feel the Call of the Fire Dance then don’t hesitate to make contact, stay in your heart space and know that you will be held in the warm embrace of unconditional love by this community. Once you have made contact an additional email with in-depth details will be sent to you. – A Sweat Lodge will be held on the Thursday evening before the Dance. The sweat is open to Dancers and Support Crew and is voluntary. – Dancers and Crew should arrive no later than 12 noon on Friday. There is a considerable amount of preparation required before we step into the Arbour on Friday afternoon and therefore the earlier you arrive on Friday the easier it is for everyone. – All meals will be prepared and served for the Crew from Friday lunch through to Sunday lunch. – Dancers will sleep in the Dance Arbour and need to bring their own bedding. 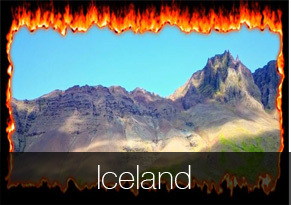 – Everyone attending is considered a participant: there are no observers or spectators at the Fire Dance. – Dancer donations are on a sliding scale from R4000 to R6000. It is up to each Dancer to know where they are within their prosperity with regards to their donation. – Bed reservation of R260 per person per night sharing (before, during and after Dance). Beds are extremely limited. – Camping on the land at a donation of R100 per person per night (before, during and after Dance). – The Dancers sleep in the Dance Arbour and will need to bring their own bedding. – Guardians – The Dance Guardians literally guard the energy of the dance. The Guardians carry the lineage of the Native American Dog Soldier tradition. The leader of the Guardians is the Alpha Guardian who is considered to be the Chief outside of the Arbour. The Guardians manage and nurture the energy outside Arbour which engenders a sense of safety for the Dancers and their work. They also sing, play shakers or rattles and help the Drum Team at times. Their other responsibilities are to help the Dancers sort out their sleeping space, carry a Dancer if necessary, watch over the dancers at night, guard the dancers between rounds and guide the dancers if they need to leave the Arbour. When the dance guardians are working well the dancers feel safe. – Kitchen Angels – The Kitchen Angels nourish and nurture the crew with their cooking and food. The leader of the kitchen team is the Kitchen Archangel. The Kitchen Angels prepare food from Friday lunch until the feast on Sunday. They are the engine that drives the Support Crew who in turn support the Dancers energetically, they are the heart of the dance. – Drummers – The Drum Team drum from their heart, they are the heartbeat of the Arbour. The leader of the Drum team is the Drum Chief. The Drummers sing and hold the rhythm that carries the Dancers. They often assist the Guardians with carrying of Dancers and with the night watch. – Fire Keepers – There are 5 Fire Keepers, one for each of the fires in the Arbour, the 4 directional fires of East, South, West and North plus the Spirit fire. They each hold the individual energies of the fire they tend. – Fire Mother – The Fire Mother holds the feminine space inside the Arbour and works directly with the Dancers as they process and Dance. – Fire Father – The Fire Father holds the masculine space inside the Arbour and works directly with the Dancers as they process and Dance. – Wisdom Keepers – The Wisdom Keepers of the Dance are assigned a designated area within the Arbour where they hold the space of the Elders and ancient ones. They watch over the Dancers and are available if the Chief requires their wisdom. – Chief – The Chief is the leader of the dance, Keeper of the Vision, and holder of the Ceremonial Container. The Chief watches over everything, holding space for the Support Crew and creating a sacred space for the Dancers work within the Ceremony. All crew will be asked at various points in the dance to help watch over the dancers during breaks and at night.